We are back at Kedron-Wavell Services Club for another huge ALL AGES live pro wrestling event! 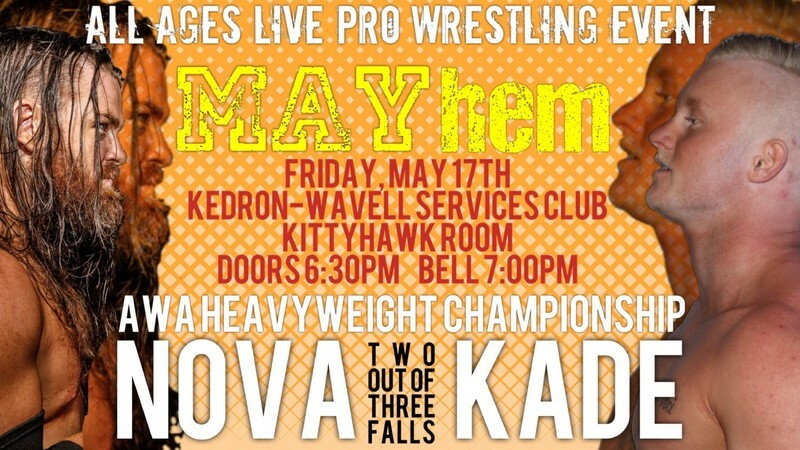 Our main event will be Jake Nova vs. Tim Kade in a two out of three falls match! Also the AWA Tag Team Championship will be on the line when Divine Darkness defend the gold against Retro Bros.
Ringside Seating (first two rows) gets you early entry plus a signed show poster!